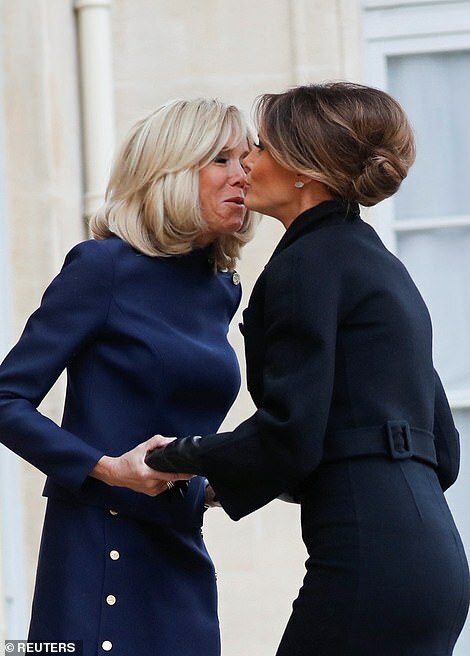 Melania Trump was warmly welcomed by Brigitte Macron in Paris and they looked thrilled to see each other ahead of their meeting today despite their husbands coming to trade blows over European army checks in the US. 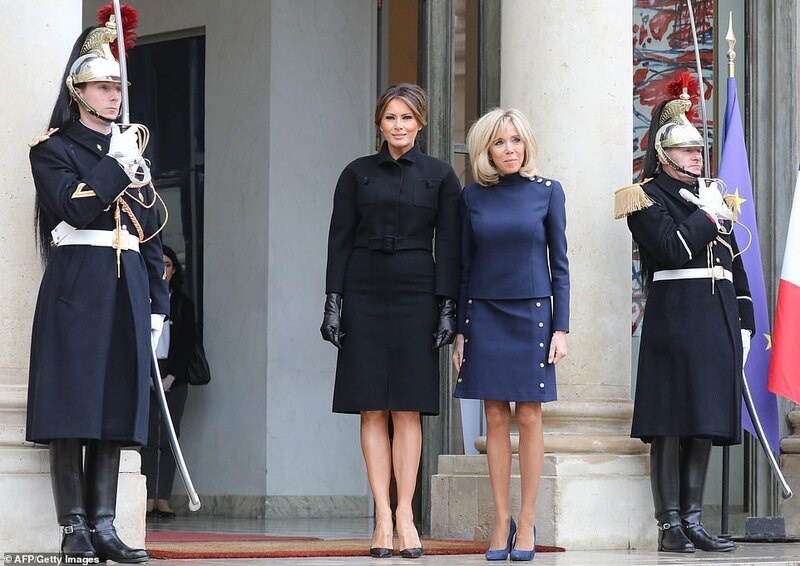 Melania looked as stylish as ever as she greeted French President Emmuanel Macron’s wife at the Elysee Presidential Palace prior to their lunch with U.S President Donald Trump. 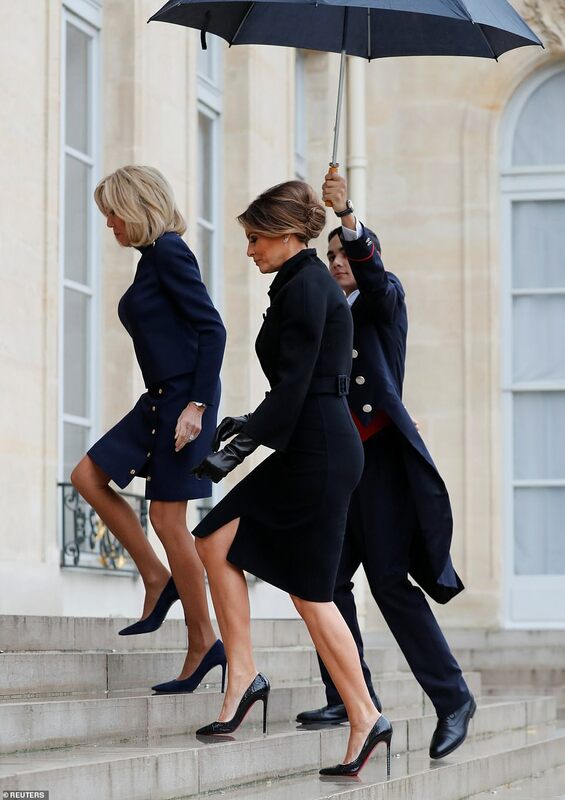 The US first lady donned a chic navy belted wool dress that skimmed just above her knees and a pair of black snakeskin Christian Louboutin stiletto heeled court shoes upwards of $714 (£550). 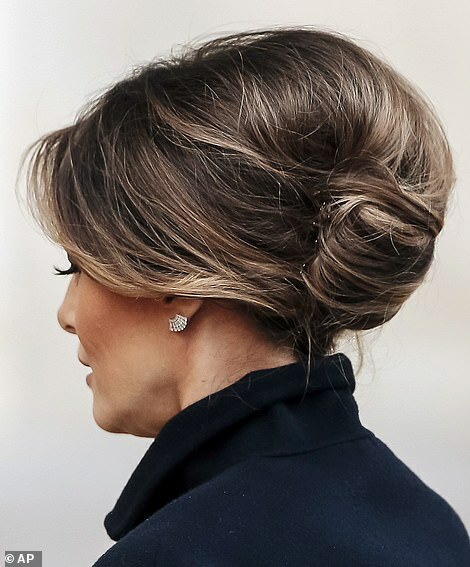 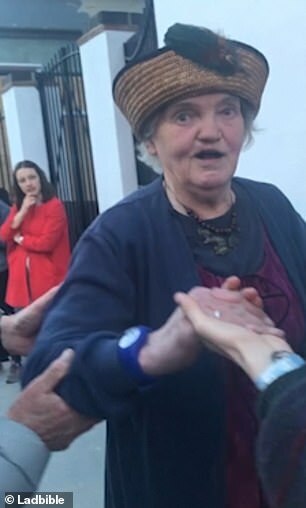 The 48-year-old also opted for bare legs, her hair in a stylish updo and finished her outfit with a pair of silver jewelled earrings, subtle natural makeup and long black leather gloves. 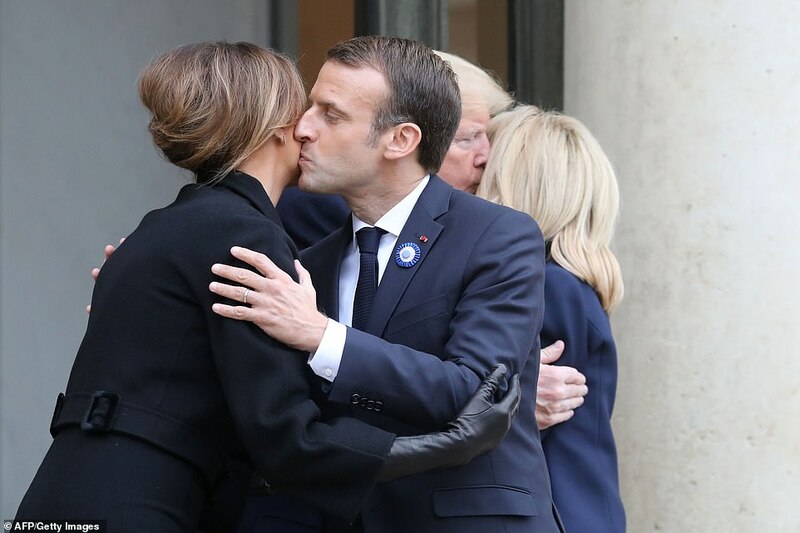 Brigitte, 65, who donned a stylish $2064 (£1590) Louis Vuitton blue skirt and top with gold button details, welcomed Melania graciously, and the pair looked pleased to see one another as they kissed cheeks and held hands. 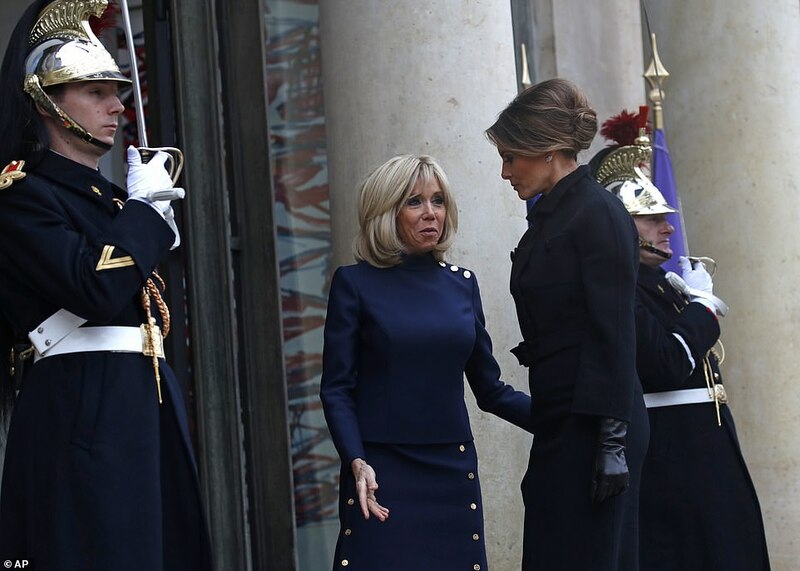 The pair put on a show despite their husbands locking horns over the ‘very insulting’ comment the French president made about the need for Europe to build an army as a check on the United States. 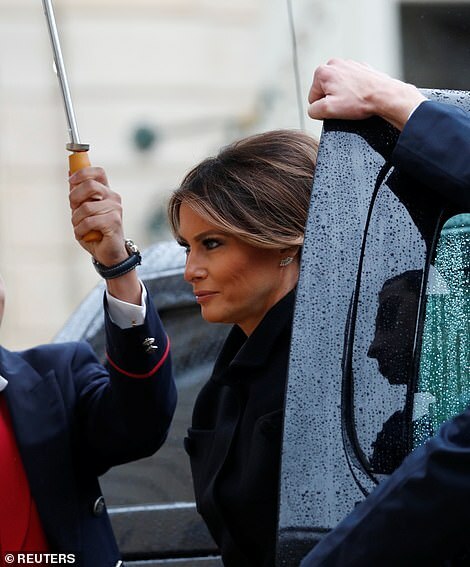 Looking fresh and energetic despite the rainy weather, Melania appeared to forget any tough-talking as she stepped out of a black car at the palace shielded by a large umbrella. 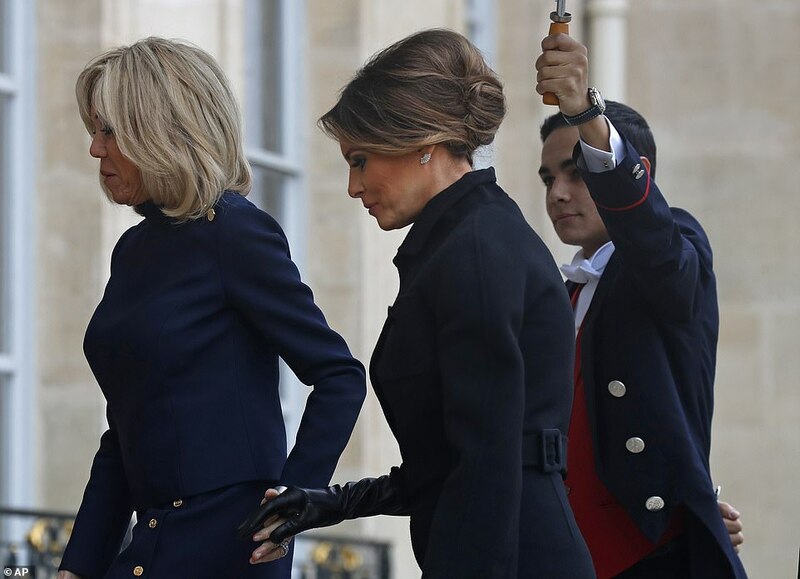 Pausing at the top of the Elysee Palace, Melania and Brigitte looked happy as they waved to crowds before heading inside. 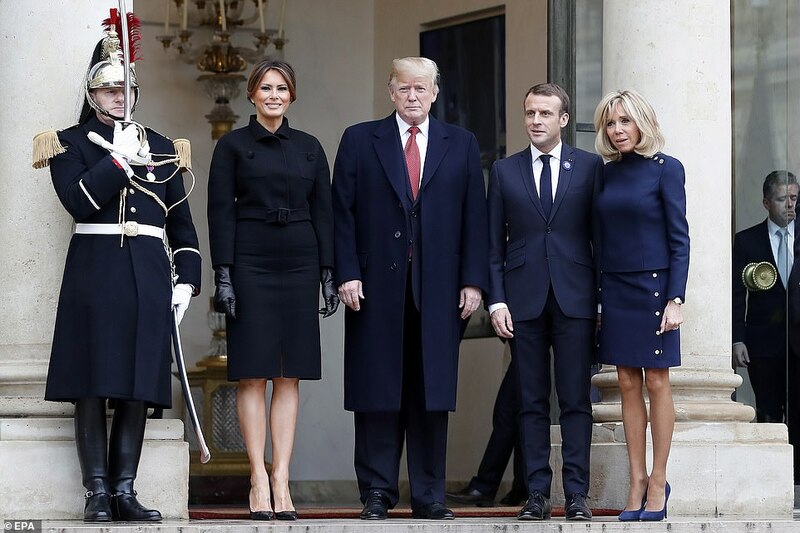 Donald Trump and Melania arrived last night to meet with world leaders and commemorate the 100th anniversary of the end of World War I on November 11. 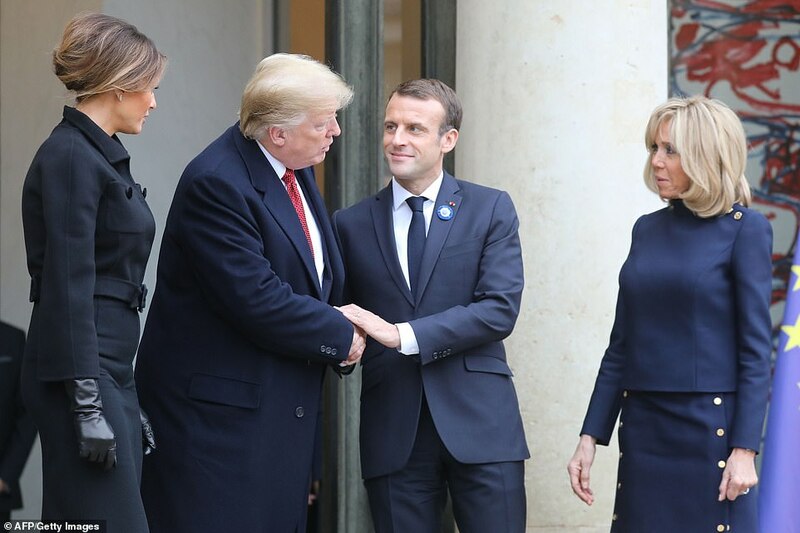 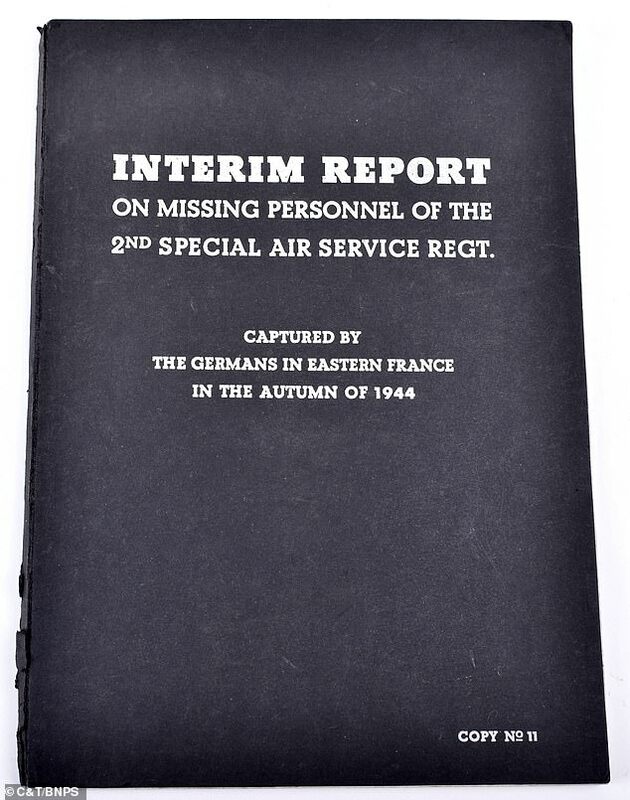 President Trump is in Paris to participate in the international ceremony of the Armistice Centenary of 1918 at the Arc de Triomphe tomorrow.